Made from wonderfully figured oak and with excellent colour. This item was on loan to Carmarthen Art College and was part of their Thoughts, Words and Deeds Exhibition – 13 February – 7 March 2019 at Oriel Henry Thomas, Jobs Well Rd Campus, Carmarthen, SA31 3HY. The exhibition showcased some of the students and staffs work and in particular the research, thought and theory part of art. Which demonstrated the transition from an idea to the completed work. 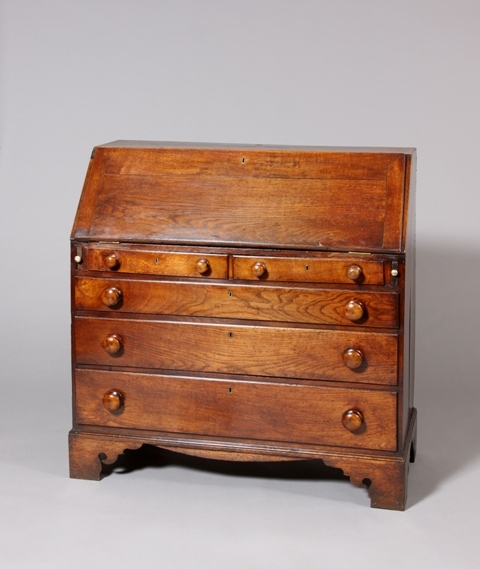 Welsh bureaus are often found to be very good quality pieces of furniture and were probably very important to the original owners. 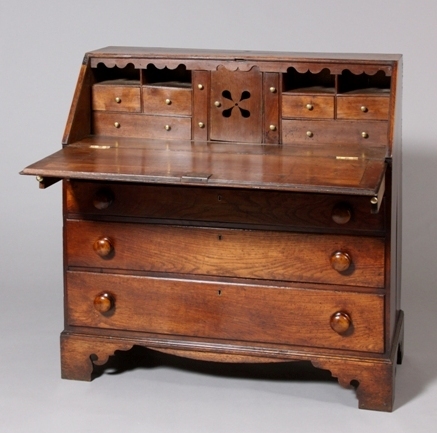 This bureau is has an elaborate interior, with small drawers, a cupboard with fretted decoration and pigeon holes which have an elaborate frieze. 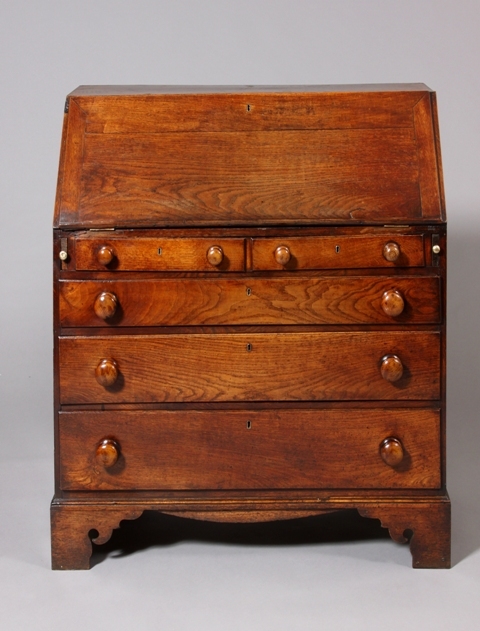 The pierced bracket feet can be found on other furniture from the Towy Valley such as long case clocks and chests of drawers. 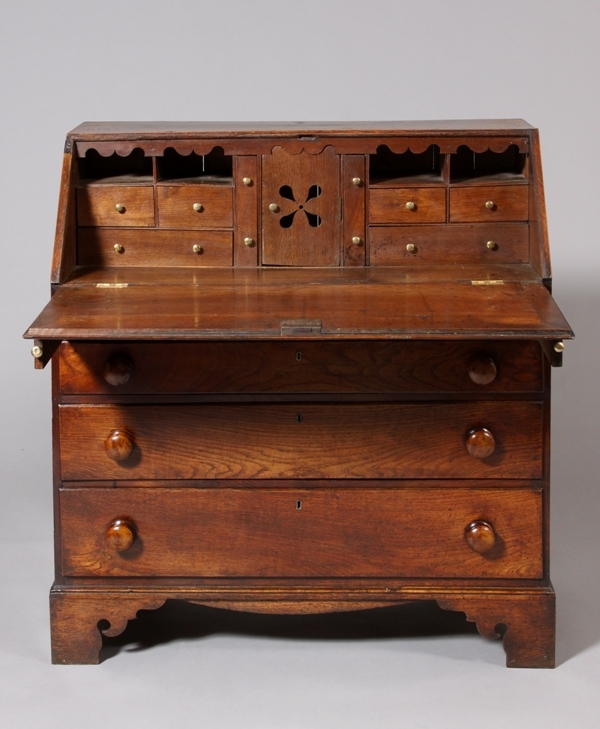 An oak bureau from Llandovery can be seen in the Carmarnshire county museum in Abergwili.